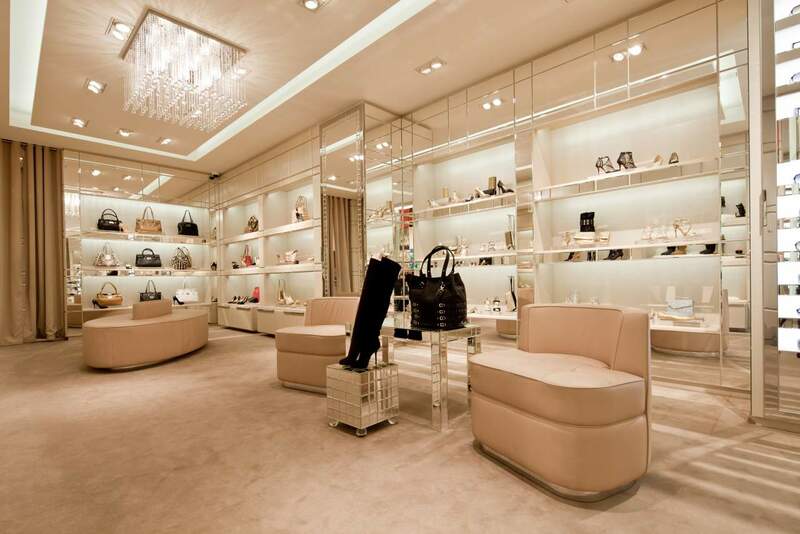 This was our second European flagship boutique for Jimmy Choo. 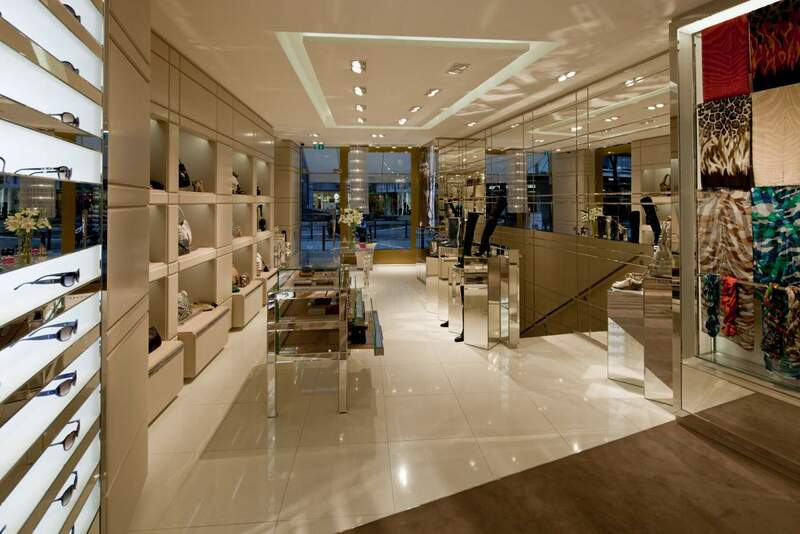 The store presented us with a 'boomerang' shaped layout that allowed a spectacular mirrored front gallery. 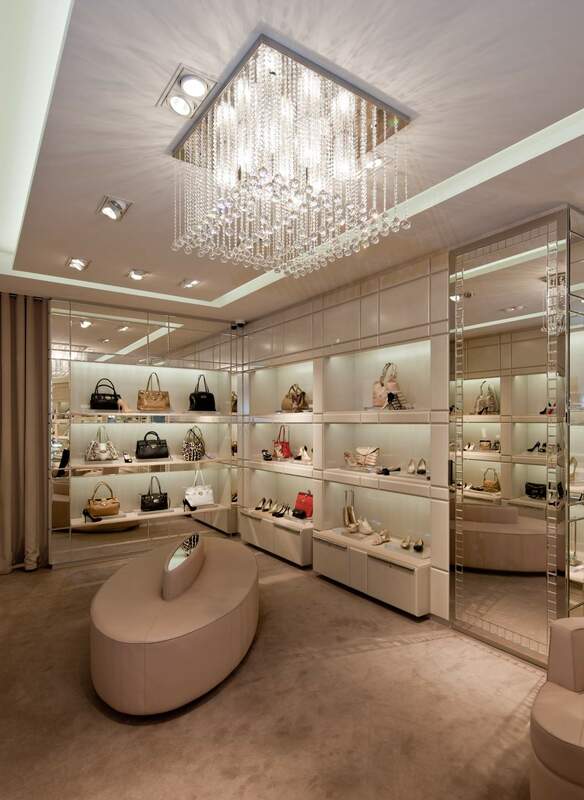 We continue to develop a relationship with a local architect and construction team, allowing us to deliver this and further European jobs successfully, for both Jimmy Choo and other clients.